black + white house. | owl's house london. I discovered this house on Pinterest and had to investigate further. The beautifully framed views were the first thing that caught my eye; the cutouts with their wonderfully deep window reveals hint at the sheer thickness of the walls beneath. The next thing that captures the imagination is the restrained but dynamic palette of whitest white and blackest black, which offers the perfect backdrop to the soft, watercolour view beyond. 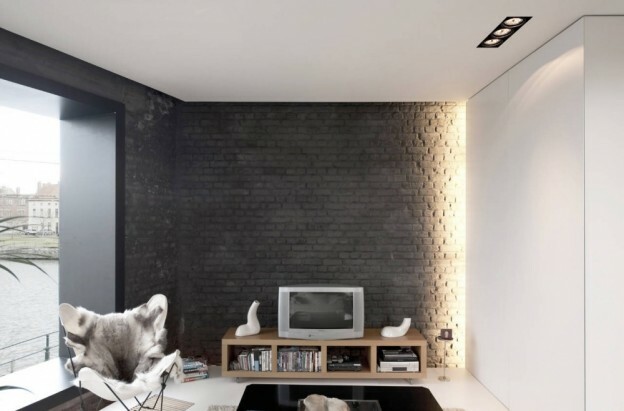 An original brick wall is retained and painted dusky black, offering softness and texture to the otherwise crisp, smooth surfaces. The junctions between old and new float past each other and provide a slot where light is allowed to emanate from, or left in shadow. 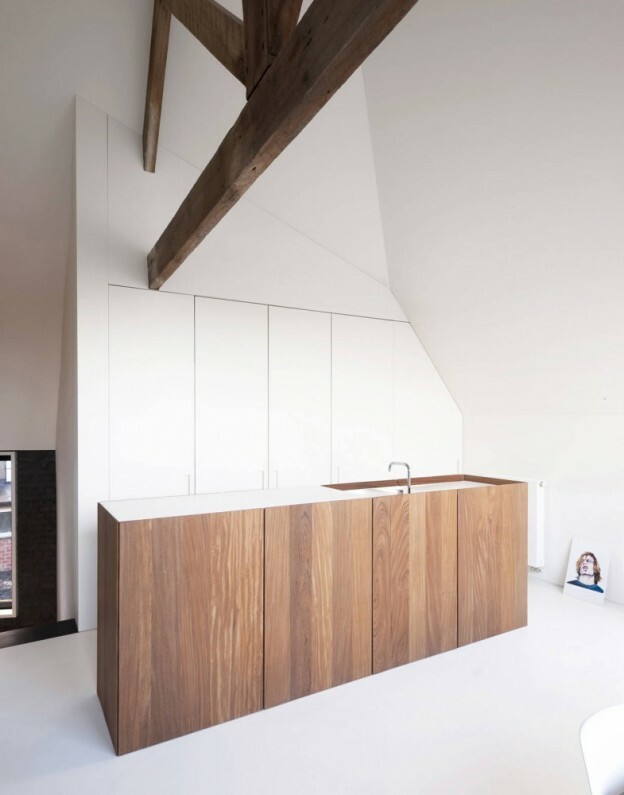 The palette of materials is kept minimal; a simple wood kitchen bar sits like a sculptural piece in the otherwise white space, with the rest of the kitchen concealed behind a white wall of doors. 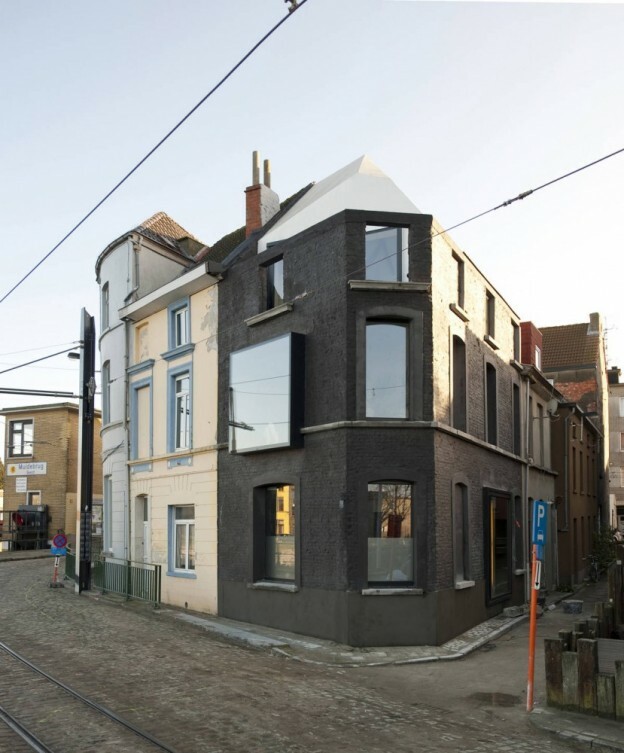 This 19th century corner house is located on the waterfront overlooking the old city harbour docks of Ghent, Belgium. 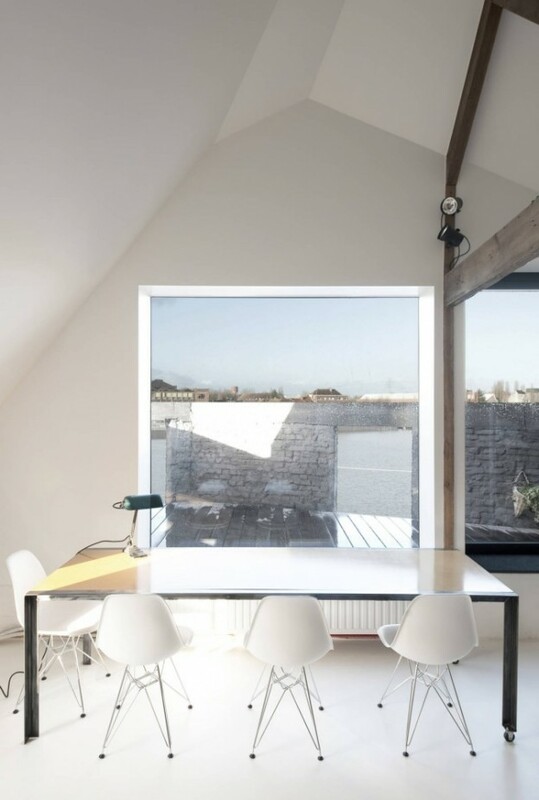 The original house was stripped back to facade, stairwell and roof truss. 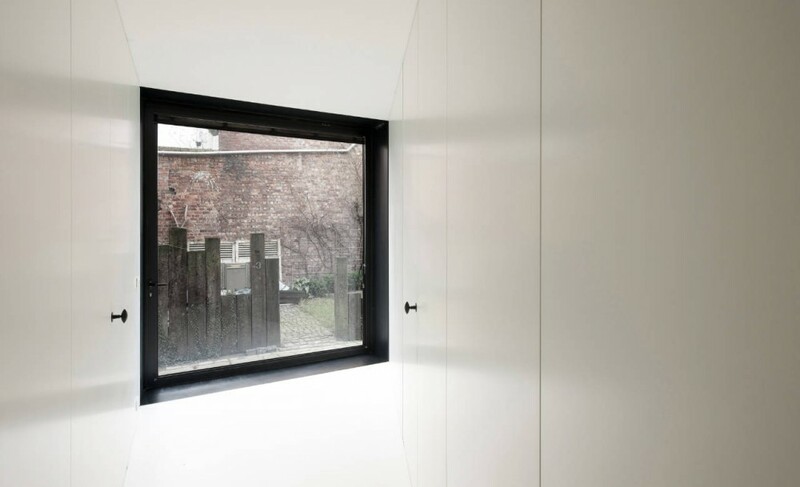 The rooms and living spaces are conceived as a ‘stack of volumes, a white sculpture inserted in the existing casing’. The functions of the house are inverted, with the bedrooms on the ground floor, the living areas above. 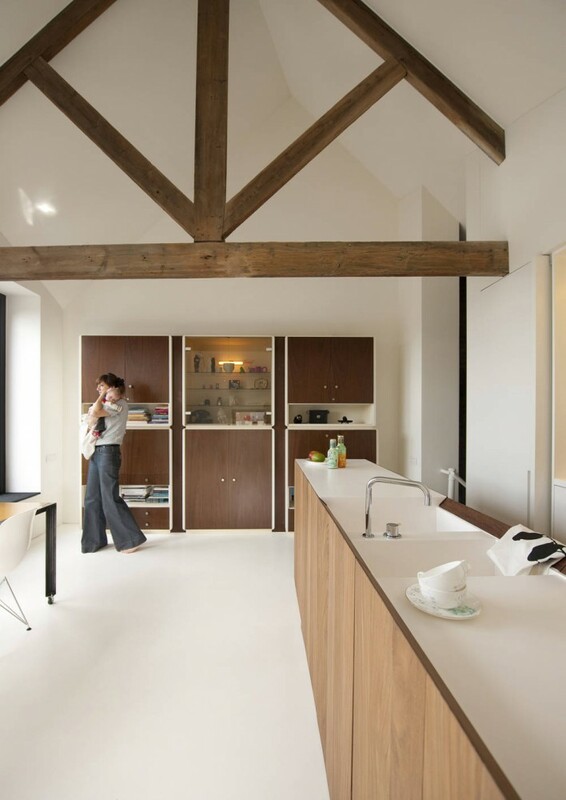 The architects have aimed to create a ‘symbiosis between contemporary residential living and the charm of a 19th century Belgian corner house’. I’d move in tomorrow, would you? This entry was posted in wonderful spaces. 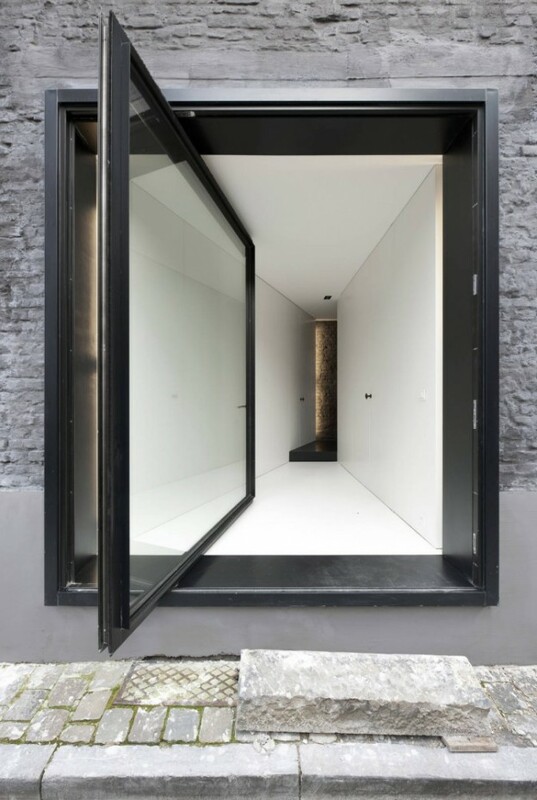 and tagged architecture, Belgian corner house, black and white, design, Luc Roymans, minimal on February 4, 2013 by owls house london.. This belgium guys (GBA) are doing nice things. I really like their freshness…if I can say so. Pingback: old house, new house. | owl's house. Pingback: open and close house. | owl's house. Pingback: house of glass and light. | owl's house london. 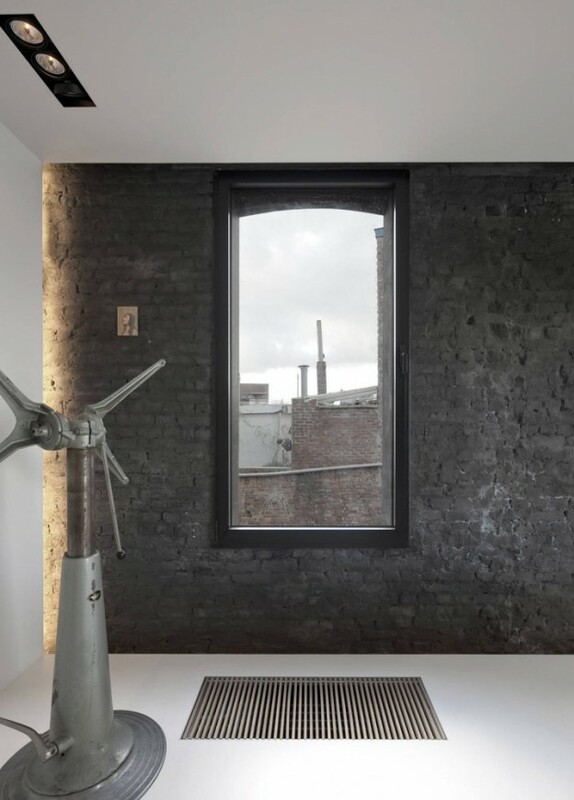 Pingback: a chelsea townhouse. | owl's house london. Pingback: a modern neo-classicist. | owl's house london.